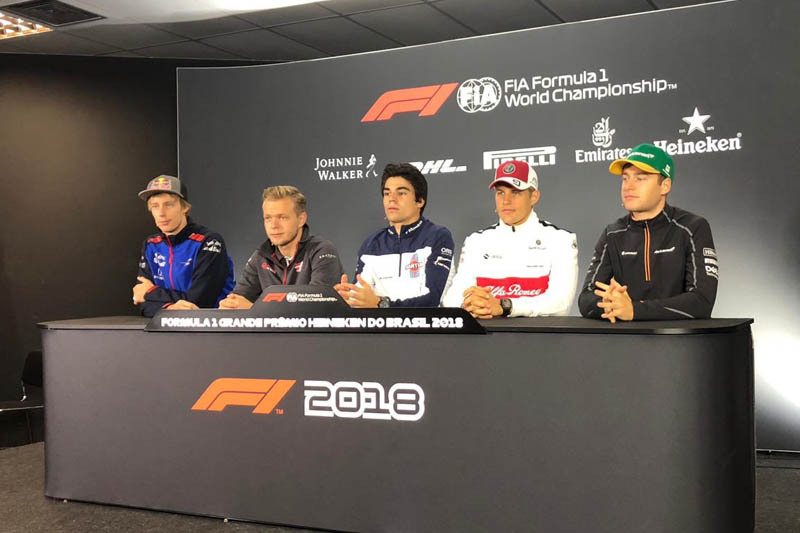 Today’s press conference with Marcus Ericsson, Brendon Hartley, Kevin Magnussen, Lance Stroll and Stoffel Vandoorne. ME: It’s been amazing, I’ve really enjoyed it, but it’s also been tough. Most of the time I’ve been running in back-of-the-grid teams and cars and that’s always tough, especially when you’re used to growing up through the junior ranks and you always fight for wins and podiums and you always go in with that mind-set to a race weekend, and then the last five years that’s never been realistic and that’s been the tough part of it. That’s why also I’m so excited about next year, that I can actually be back racing for wins again. I bring a lot of experience and a lot of good memories from these five years, for sure. Q: Thank you, Marcus. Stoffel, you’re another driver who has announced plans outside of: is it farewell to Formula 1 or do you see Formula E as a stepping stone back into Formula 1? Stoffel Vandoorne: It’s a bit hard to tell. I’m starting a new challenge, which I’m really looking forward to, with HWA in Formula E. I don’t really have a break this winter, so I’m going straight into that and that will also be… my mind-set is to do the best job there. So whatever happens in the future, it’s difficult to tell at the moment. You know, the driver market this summer has been a little bit crazy and no one could have really expected what has happened. Things like that can happen in the future and who knows what is going to happen. But for now I’m just focusing on Formula E and trying to do the best job there.